DESCRIPTION: A day to walk as much or as little as you want, enjoying the birdlife, seals and beaches of the Fife coast. With very picturesque seaside towns to explore along the route. you can opt to walk less to enjoy art galleries, seafood restaurants and cafes. 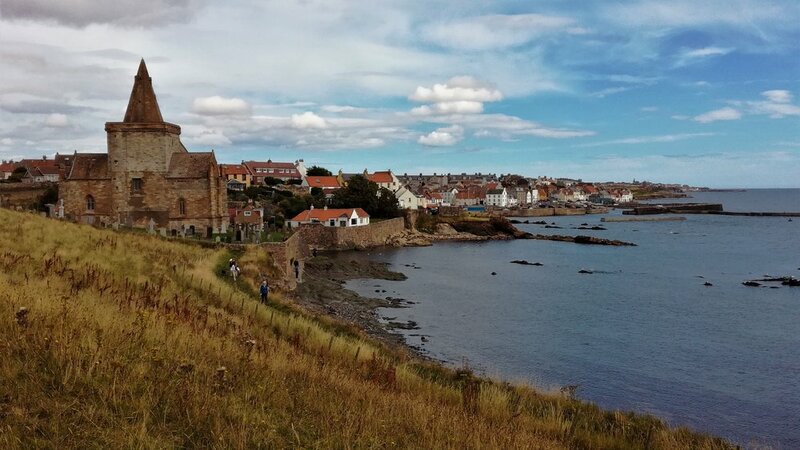 · A drive to Elie at the start of the finest coastal stretch between here and Crail. - A guided walk along sandy bays, onto the ruins of two coastal forts, past the old church and down to the harbour front at St Monans. - Lunch in St Monan's with the option of some fine shell fish (not included in price). There are other menu options besides fish! - Walk by the windmill and hear about the previous salt trade. · Walk on to Pittenweem with its active harbour, craft galleries, a chocolatier and St Fillan's cave. - Still want to walk on...? The onward stretch leads past an older harbour and onto Anstruther. Or stay on in Pittenweem to browse and chill. · You’ll be collected from wherever you reached on the walk before returning back to base. - Easy grading walking of 4-10 kms depending on where you choose to stop.